Item #AD-13PMB-129: 18.5" necklace of 13mm round Peach Moonstone beads with Gold-plated Sterling Silver hook clasp. 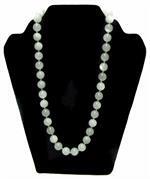 Item #DB-2879: 18.5" necklace of 8mm round Moonstone Cat's Eye beads with Sterling Silver lobster claw clasp. 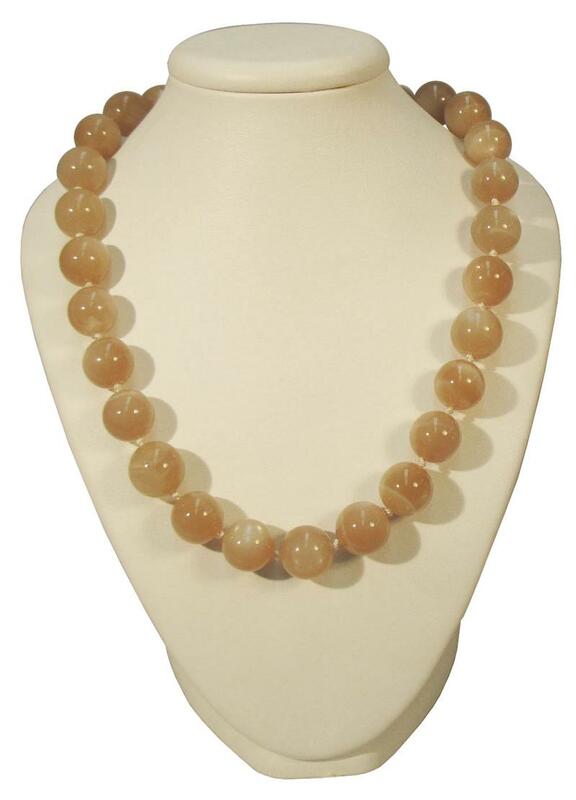 Item #AD-10GMB-125: 19.5" necklace of 10mm round Gray Moonstone beads with 15mm round Sterling Silver spring ring clasp. Item #BK-1101-PDT-55: 14Kt. White Gold pendant with 18x22mm oval Peach Moonstone cab of 25.70 cts.